1001 Free Fonts offers one of the largest collections of free Mac OS X fonts online. All you have to do is click on the Mac OS X button to download them to your computer. Then install them by double-clicking on the file, and then on the “Install font” button. If that does not work, drag the file into your into your Fonts folder, located inside your Library folder. There are limitations to using the free fonts. 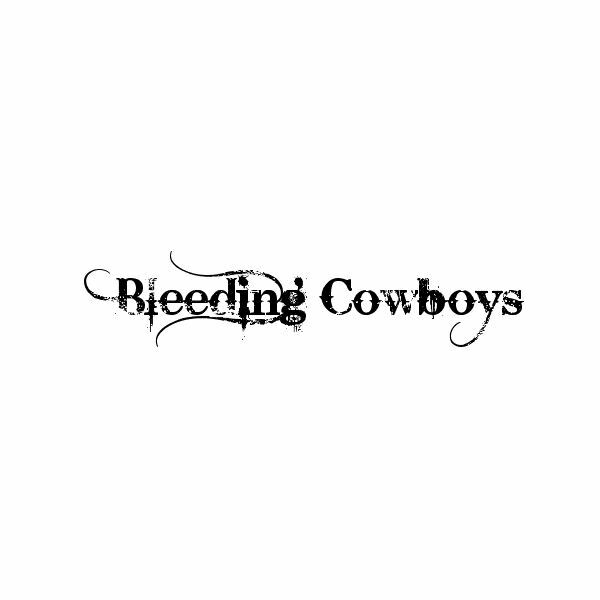 For instance, the Bleeding Cowboys font (see screenshot) is downloadable as a regular font only. You will not be able to use the bold or italics versions until you buy the font. Also, you may not use this font for any commercial purposes until you send a PayPal donation to the font’s creator. Limitations aside, you will find a ton of fonts on this site. You can either download the entire collection, search for a particular font style with the search engine or click on a category. Some examples of these categories include 3D, Decorative and Retro. Dafont.com offers a variety of fonts for your personal projects. To install them, simply double-click on the font file, and then the “Install font” button. This site is organize so that you can search with the engine, by letter or category. I liked how they stated whether the fonts are free or free for personal use. You can also search for different license types, such as Public Domain, GNU GPL, Donationware and more. When using these fonts, always look at the Readme file to learn the details on how you can use them. Urbanfonts offers a large collection of fonts. To install them, make sure that all of your applications are closed. Then locate the fonts folder inside your System folder and drop the files there. Alternately, you can use the Font Book application. On the front page, you will see a list of featured free fonts. Hover over those, and you will see the entire collection. To the right of that is a tag cloud. You can use this cloud to search for a particular font type. You may also use the search engine, categories or the A to Z directory. Fontcubes offers a large collection of free Mac OS X fonts. To install them, simply drag them into your Fonts folder, located in the Library folder. This site is the simplest I’ve seen so far. You can search for a particular font type by using the search engine, the A to Z directory or the categories section. There is also a “top downloaded” fonts and dingbats list, which shows you the number of downloads per font, the star rating, font details and the download link. Some of the fonts will tell you what’s included while others rely on a symbol chart. FontSpace is a blend of the other sites in that it offers a large collection of fonts, a rating system and a tag cloud. You can also create a list of your favorite fonts so that you will not have to search for them when you need them. What I liked best about this site is that it tells you exactly what you can use the fonts for (i.e., personal use only, no commercial use) and gives you the option to contact the designer or make a donation. To install the fonts, drag the file into the fonts folder, located in the Library folder.